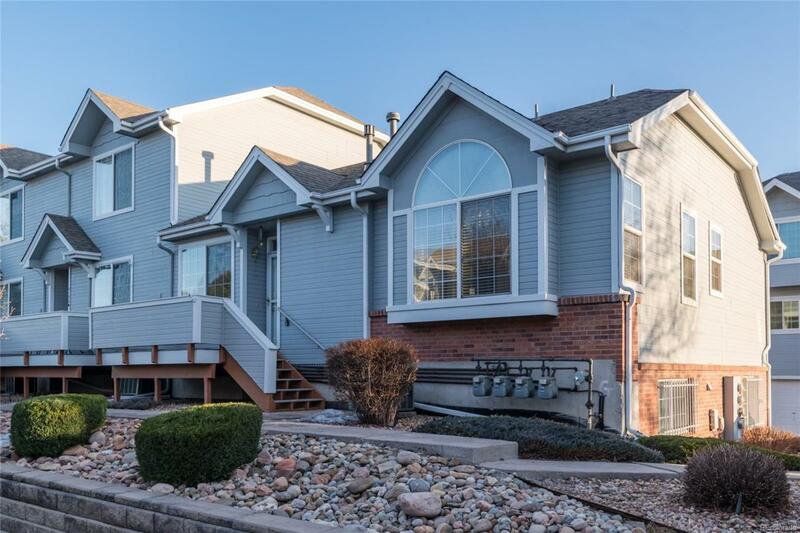 Easy living in this well-loved rare Ranch end unit townhome. Tons of natural light make this townhome warm and welcoming. Everything you need for main level living: Master Bedroom w/private bath, 2nd Bedroom w/full bath, Laundry, Kitchen, Dining and cozy Living Room w/gas fireplace. Bonus finished space on the lower level w/family room and another bedroom (non-conforming). Your attached 2 car garage offers additional convenience. New roof was just installed on this building and exterior trex material deck was just redone. Matching window coverings thru-out, New Carpet on main level, Newer Dishwasher, Walk-in closets in both bedrooms, Washer and Dryer included. Decorative Storm door w/matching grate guards on lower level windows. Move in and enjoy this townhome from Day 1! Check out our slide show. Hurry!